How 'ethical' is your eating? But I can see that for those living in a city (shudder!) these choices are not available. I share your shudder - always wanted to live in the country, but - I think you perhaps generalise. Brighton (and nearby Lewes) has great butchers, fish mongers, farmer markets and little shops specialise in local produce including Sussex made cheese. We have an amazing greengrocer right on our doorstep. Perhaps depends on the city, but my hunch is that there are far more options to shop now in most cities than the boring supermarket (which has its place too, though). Ludlow is fortunate for a town of 10500 population. We have 3 butchers, 2 greengrocers, 3 bakers, 1 fishmonger, 3 delis, and a good hinterland food and drink scene. About 3 miles north is the Oakly Park estate farm shop which makes its own cheese, bread, ice cream, butter, jams in viewable workrooms. Controversial locally as it had a large Defra grant to get started and was very expensive at the start. However, preferring to shop in the town, I can discuss my purchases, e.g. With the butcher and can get into the best of local game in the right season. The slaughterhouse locally is a small one in a village and ‘meat miles’ tend to be around 20 from field to slaughter to butcher. I am confident in this arrangement. The hype about Ludlow in the mid 2000s was about the quality of restaurants. My view is that the food buying scene is much better, and you can get some wonderful stuff to take home and cook for yourself. Our market is quite good, but it is the shops that have the edge as they are there all the time. Having lived here for 14 years, I know the area and its farms, and a lot of the producers. Our T***o ran a “local produce” event. The nearest was milk from Staffordshire! I think there is a misconseption about country living and food, we have until this house lived for some years in the country and yes there were a lot of good food outlets. But so many have gone, we lived in a hamlet some three-four miles from Saffron Walden in Essex in the mid eighties, Walden then had three different independent butchers, one used to have queues outside on a Saturday and was like shopping pre war with a pay booth and invoices on a spike but superb meat, it also had two independent grocers that sold all those goodies no longer available plus at least one first class greengrocer and a weekly market. It even had a good wine merchant, no more. All the shops have gone, the market remains but is a shadow food wise of it’s former self. The other point to the demise of these businesses was the opening of a Waitrose branch as it was considered and is a middle class town, that finished the grocers for a start, a story repeated across much of the UK. We had two great independent butchers within reach of our last property in the country, gone, we now live in a village ? suburb of a city, and there are a few of these retail outlets nearby and several farm shops some good, it’s very mixed but so many can’t compete unless they are in a very prime position plus many family run shops sell up when no one from the family wants to take over. Holmfirth was faced with a similar situation as S Walden - but local pressure caused the council to block a national supermarket chain opening a new shop (and like a black hole, swallowing all the independents). So we happily pay over the odds for petrol, greengrocers etc… and we continue to HAVE independent butchers, greengrocers etc. However I do still try to buy food sourced locally (and seasonally) where possible. My comments should be affixed with ‘I am quite time rich’. Saffron Walden is, I suggest, within the commuter belt (outer? ), so people can be ‘time poor’. Hence less time to get into the ethical localism, more into convenience. We are ‘near’ Birmingham, which has surprisingly the largest inland fish market. Can’t remember the last time I saw a wet fish shop, they seem to have gone long ago and our supermarkets are very poor cousins of the fish counters in Spain, France and everywhere else, but then the fishing fleets have been decimated ! Even on the north Norfolk coast the fish shops there all as far as I have seen specialising in crab smoked fish and the like not much in the way of everyday fish. Ludlow Steve, you are correct about the commuter belt, the trouble is the commuter belt for London stretches to the south coast, to Cambridge and beyond north, to Southend, Ipswich, and even Norwich in the east and all points west. Very true. Until 14 years ago I lived in the east…Herts, Beds, Norfolk and Cambridge. The distinction has to be made between fish ‘previously frozen’ as in Supermarkets, or fresh as in ‘as landed’. Very difficult to buy any fish that is sustainably caught. It takes some finding and research. I’m not so sure food in the countryside is any better than in the cities. Fish caught by trawlers go straight to fish markets in the city and come out again to the country. Then we have the vegetables which county restaurants describe as in-season. Which season, which continent? If you like your meat well hung, does it make a difference where you buy it? On fisheries, it can be a complex affair. 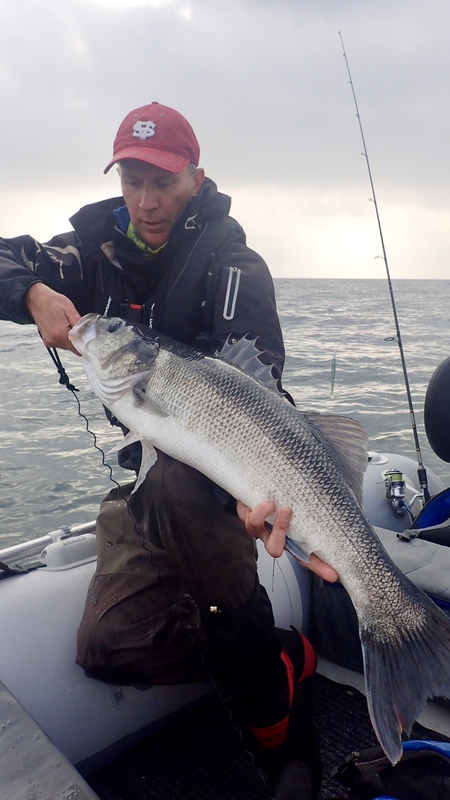 Sea Bass can be problematic, and is I think still highly restricted or banned from being fished in the N. Sea and the Western Approaches, which were the main UK sources. But there are smaller thriving fisheries locally, which serve only the local market. If you are local to one of these you will probably know of it. But I only mention it to point out that the general does not necessarily apply locally. Bass is problematic. Even if caught locally using rod and line it could well be at 42cm. This is the Minimum Conservation Reference Size. To guarantee that bass have spawned at least once in their life they need to be at least 45cm and most probably 50cm. I’d say any wild fish we eat should at least get a chance to contribute to their future don’t you? The MCRS is still too low obviously. The bigger fish over 65cm have the most impact on future stocks as they have the most eggs etc. Limit yourself to a slot size in that range caught by rod and line then you may be ok. But the stock is still so low that even then it’s questionable. Best bet is to go out yourself and catch one. Just one mind you, because that is all you can take by law. Bass is a very slow growing fish. It’ll take 10 years to get to 65cm. Here’s one at 89cm. Obviously it went back. Is the food ‘in the countryside’ any better than that bought in the cites? Well… ethically the answer is YES because your £ goes direct to the producer (assuming you buy direct) and the mileage / carbon footprint is so much less. Of course you are limited to buying whatever is grown locally and in season, so another ethical plus point. As to quality… again YES in my opinion, you can taste the difference if we are talking about local meat, eggs, seasonal veg. Brussels sprouts are a revelation when the wholes stem was in the ground the day before - they actually taste good ! I cant really comment regarding food in restaurants, even McDonalds are advertising their produce is ‘local’ ! The down side, is that Fish is LESS good, the cities have the edge here with central fish markets. Maybe, maybe not. It probably depends on how you get there. The truth is that ships and, to a much lesser extent, lorries are incredibly efficient at moving our food around compared to our own shopping habits, which are almost always car based. Driving around to individual specialist producers, even if they are fairly local, is an environmental disaster. Getting their produce delivered individually by courier is unlikely to be much better. Such shopping may support small producers, fill us with a warm glow and give us access to some wonderful food but it is not going to save the planet. Energy consumption in food distribution is heavily skewed to the final step of getting the stuff to your home. The conclusion must be that any environmentally sensible system of food distribution requires consolidation, so that the final trip to your house not only carries as much produce as possible but is also as short and infrequent as possible. This is likely to be more of an influence on the carbon footprint of your food than the distance separating producer and consumer, as measured in the overly simplistic concept of ‘food miles’. While the promotion of small, local producers … is commendable for quality, cultural and social reasons, if we are going to consider the environment it must go hand in hand with sensible consolidation of distribution. Thank you, Lapin-Rouge, for your view. It’s baffling! A lamb is reared and slaughtered in Suffolk. It is then cut by meat cutters and local butchers collect. But, apparently, the same lamb would taste differently if the butcher happens to come from London. Can you or anybody explain why this is so? Could not agree more than the result of that study, we have farmers markets, individual retail outlets attached to farms, specialist producers of single products all around in the countryside, to use all on a regular basis would involve an awful lot of road miles and completely destroys any eco credentials if there were any in the first place. Mr Scuppers - you are of course correct - the same lamb will taste the same, no matter who ultimately sells it to you. On the other hand, my lamb is a Lleyn breed, raised ‘near-as-organically’ on a hill farm overlooking Holmfirth. It is smaller, the meat a lot richer and more dense than your average lamb. It tastes fabulous. No doubt it would also taste the same if bought in London. But you can’t source it in London. And for an equivalent you would easily pay double. My lamb’s farmer, cutter, butcher and salesman are one and the same. The ethical part, is how much of my £ goes back to the land. The trick is to know what you are buying. Sounds obvious, but how many conversations actually take place about the provenance of the product. I shop with my local outlets…mostly…and in similar if I am on a ‘day out’. I know where to get salt marsh lamb, at local prices. Similarly with grass fed beef. I can also get pork from a local herd of Gloucester Old spot which are kept in the open. There is also a trend towards restoring woodland pasture and I await news on meat from those sources. In addition, we are now in game season. Yesterday there was a group of 'visitors ’ taking selfies with the pheasants hung outside one of our local butchers. Fruit is local. One of our greengrocers brings stuff in from small orchards near his home. However it is not all an idyll. Fish is somewhat of a dilemma. Whilst I know that my fishmonger does not have any 'previously frozen ', it mostly comes via Birmingham wholesale, the original source and method of capture remain somewhat of a mystery. There is clarity between farmed and sea caught but that seems to be as far as it goes. It does seem that we are victims of pricing, contracts and commercial interests. On a tangent…one of our local National Trust sites has a water bottling ‘factory’ just on the fringe of its boundary. This plant bottles for M&S amongst others. However the NT tea room offers Harrogate Water. 160 miles away, not counting shipment to a distributor and onwards for delivery. So an organisation which could be so rooted in its community and investing in local businesses chooses not to do so. One needs good antennae at this game! Doesn’t the NT tea room offer tap water?